Modern assisted living facilities have been redefining senior care. This concept emerged around 20 years ago in the USA (org. source) and has now developed into a full-fledged industry dedicated to cater to the living needs of the ageing section of the population. 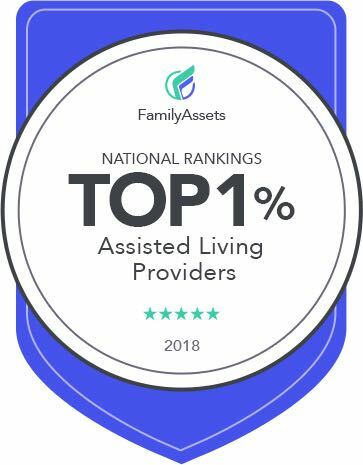 Assisted living facilities usually offer long-term care senior care programs with an array of services, such as accommodation, food, home maintenance, everyday assistance, medical support and personal care for elders. Seniors often enjoy staying in such a facility so as to make the later years of their life grand and triumphant without being a burden on their loved ones. If you are looking for one in San Antonio, TX, then this blog will help you understand the factors that make an assisted living facility perfect for elders. Living in an assisted living facility in San Antonio, TX, residents can enjoy freedom to live happily and enjoy their life on their own terms without having to worry about life’s hassles. This is unlike the nursing homes, where elders often have to compromise on comfort and lifestyle. Safety is another reason why assisted living facilities are perfect for elders. You don’t need to worry about their needs, medical assistance or security. Help is always available at hand to residents in case of any emergency, medical or otherwise. Boredom often becomes a depressing hurdle for ageing adults, especially when they live alone. Assisted living facilities offer programs and the activities that are entertaining, relaxing and full with freshness to keep the residents engaged at all times. They also give them a chance to socialize with people of their own age and share life experiences. These factors make assisted living facility in San Antonio, TX a perfect place for your elders to live. In other terms – ‘Dignified living is Assisted living’!